Auto Ship & Earn + 132 Points What's this? There's no avoiding it; the proof is right on your face. You're aging - and so is your skin. As the years add up, moisture, lipids and collagen that keep skin looking healthy and vibrant start to diminish. 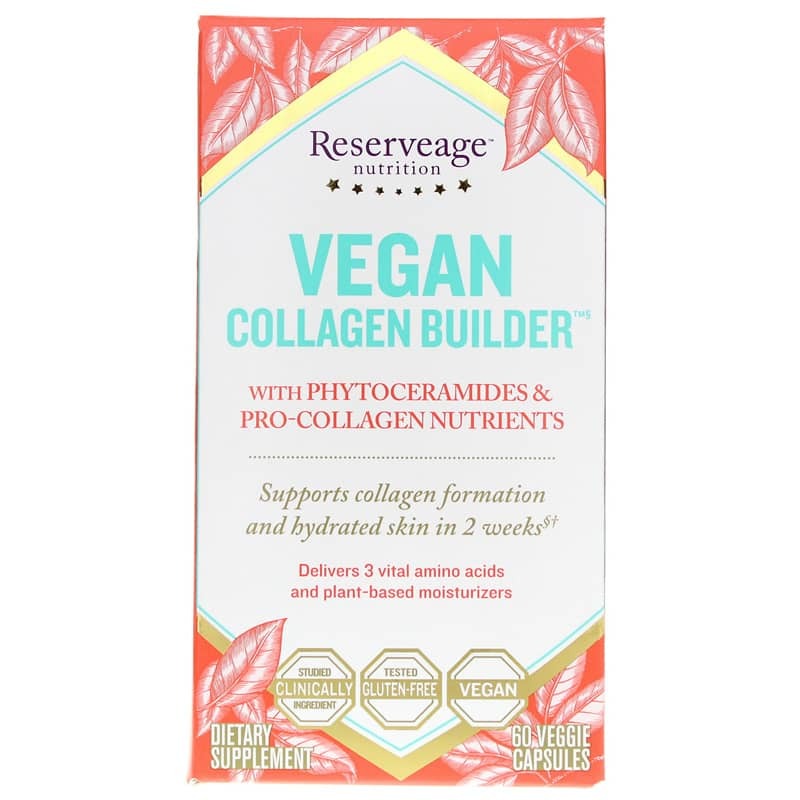 While you may not be able to stop the years, you can help replenish the nutrients that support your skin with Vegan Collagen Builder from Reserveage Nutrition. 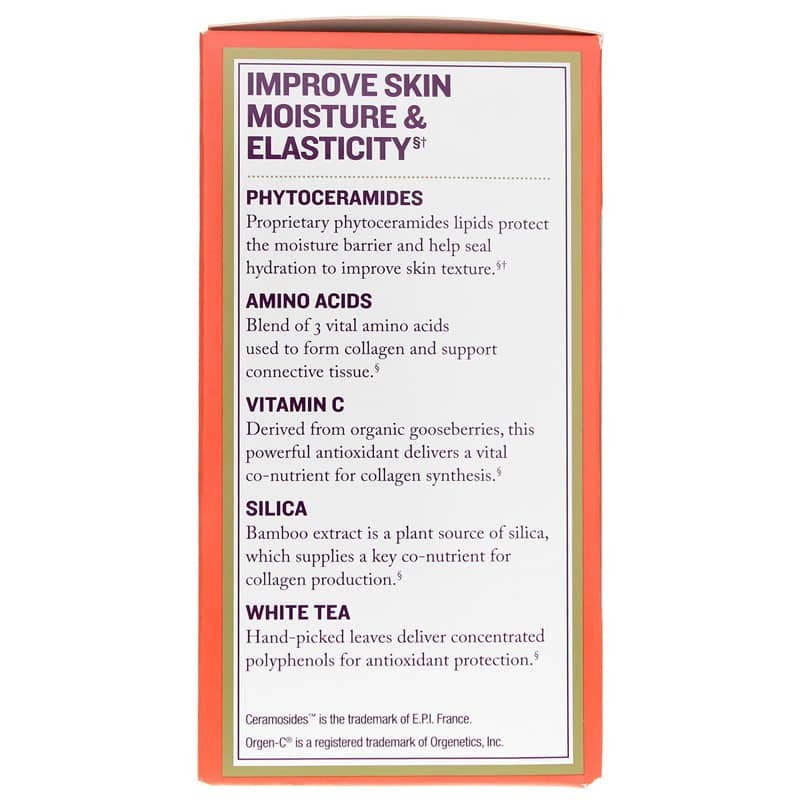 This vegan-friendly, plant-based supplement provides proprietary Ceramosides and natural nutrients to support collagen production as well as hydration from the inside out. Ceramosides - Proprietary plant-based lipids that help retain moisture for smooth and supple skin. Amino Acid Blend - With glycine, proline and lysine, this blend helps support pro-collagen activity. Vitamin C - Derived from organic Amla Gooseberry extract, this vitamin C provides antioxidant and co-nutrient support for healthy collagen production. Silica - A natural bamboo extract standardized to 70% silica provides additional co-nutrients for collagen support. White Tea - A natural source of polyphenols, white tea provides antioxidant protection. Together, the natural ingredients of Collagen Builder provide synergistic support for collage production, free-radical protection and hydration, helping skin look beautiful at any age. Plus, with plant-based ingredients, it's perfect for vegetarians, vegan and anyone! 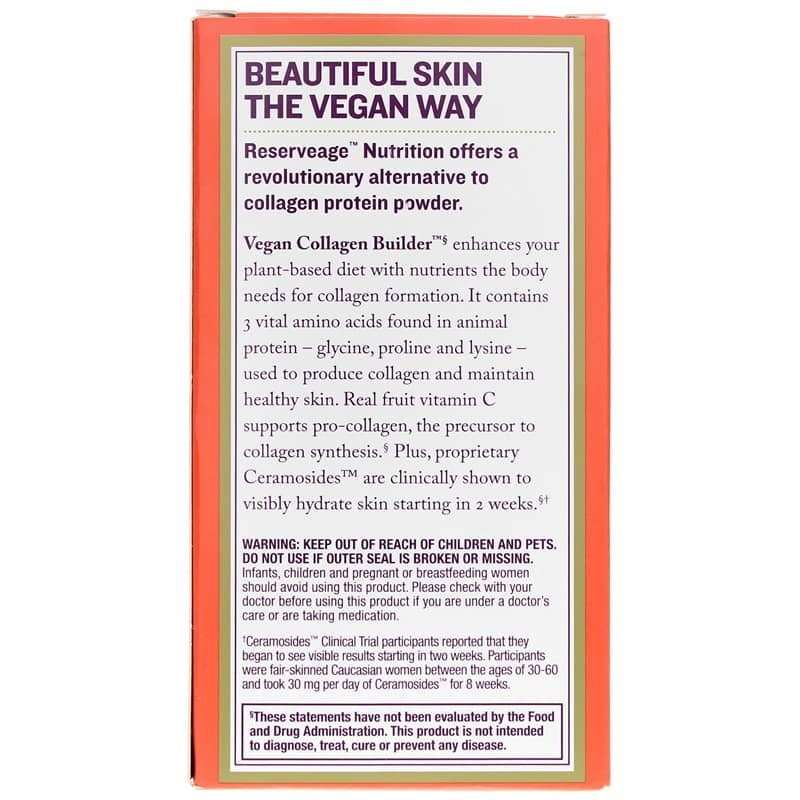 Ord Vegan Collagen Builder today! Other Ingredients: rice bran, vegetable cellulose (capsule), microcrystalline cellulose. Contains 2% or less of: rice extract, rice hulls, gumarabic, sunflower oil, silica. Vegan. Gluten-free. 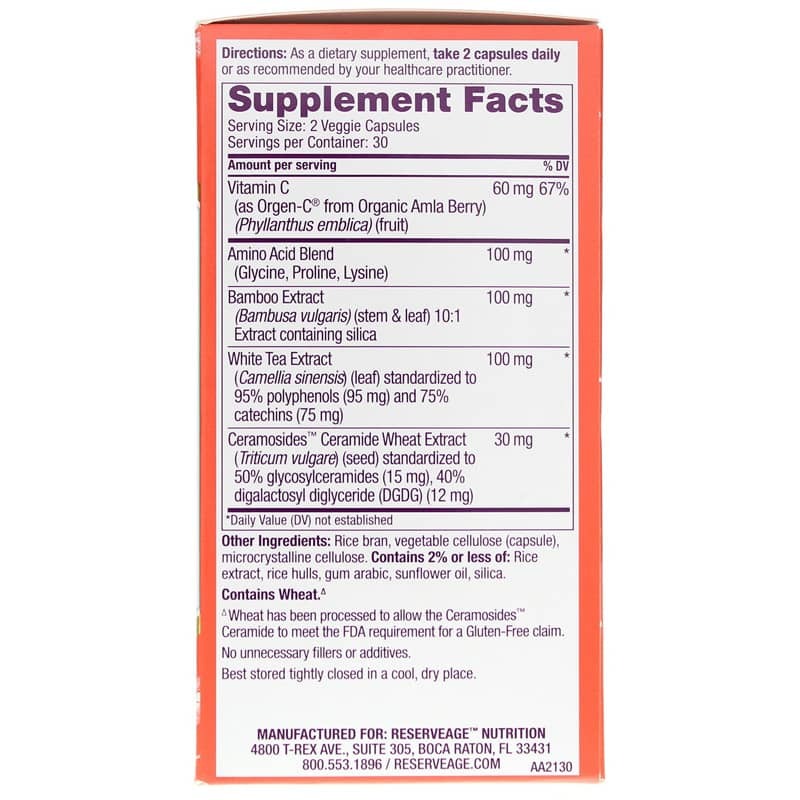 Adults: As a dietary supplement, take 2 capsules daily, or as recommended by a healthcare professional. If you are pregnant, nursing, have existing medical conditions or taking prescription medications, consult your healthcare professional before using this product. Keep out of the reach of children.